This Christmas I was given a fantastic present by a friend. It was a bag of bee bombs. 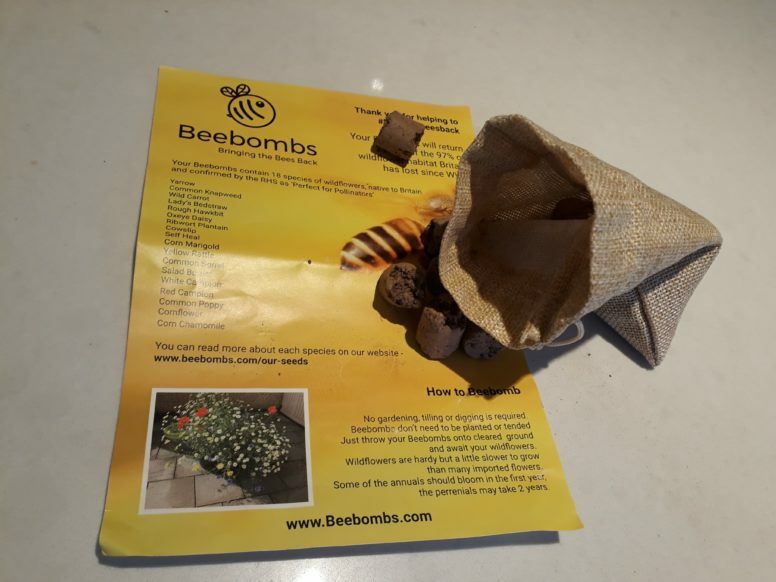 Bee bombs are a brilliant idea for helping to get more flowering plants back into our environment and provide nectar for our flying friends. At the Secret Campsite Lewes, we’ve sown and planted a huge range of plants, trees and shrubs. It’s our attempt to provide nectar, fruit, seeds and leaves for a wide variety of species. Over recent years it’s become more and more obvious that a some species are coming under increasing pressure. Much of this pressure arises from a lack of habitat and food sources. It’s often due to the land management regimes that we adopt in pursuit of more productive and profitable approaches. But we’re a bit different. 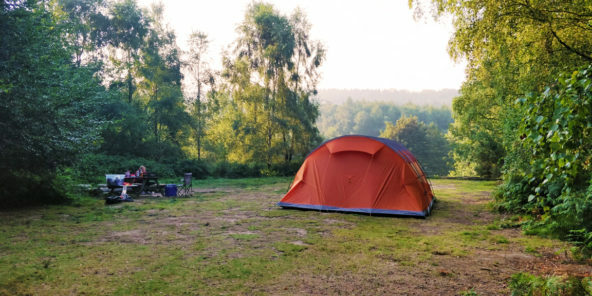 The Secret Campsites are all about trying to create space for plants and animals. This approach shows how we can, often very easily, coexist. When this happens it gives us a chance to appreciate their beauty alongside the many benefits they provide us with. Bees have received lots of media attention and they are a great example of a species that benefit us hugely. Most flowering fruit trees need a vector to pollinate them successfully. This enables them to produce fruits, seeds and nuts, that’s what flowers are for. They attract the pollinators with an eyecatching flower, reward them with some food and then just sit back. Meanwhile, the humble pollinator distributes the pollen to other members of their species….magic, and very lazy. The idea behind Bee bombs is to start spreading these flowering plants. Ideally this is to places where they no longer flourish, or where they have disappeared altogether. So what can you do with these? All you have to do is drop the bee bomb on a patch of relatively clear land and let nature do the rest. Again, perfect if you’re feeling very lazy. Each bee bomb is filled with a few seeds from a variety of different native flowering plant species. These seeds are stuck together in a pellet made from clay. What a great idea. This way, the seeds are given their own small garden to start growing in and all they need to get going is water. One of the beauties of living in the UK is the relative abundance of water for most of the year. So voila, the seeds can get a foothold, wherever they are sown…within reason. Its best to distribute your bee bombs in April and August. At this time of year the ground is still warm and there is about to be a limitless supply of water. Once you’ve lobbed them somewhere suitable its fingers crossed and wait for the seedlings to establish. Within a year you could be enjoying the beginnings of your own bee buffet. Head over to the bee bomb website and order yourself a few packs, then get sowing. Its best to find somewhere where the land is unlikely to be cultivated in the next few years. Taking this approach helps the plants to get established and start to spread. Its as easy as that, buy, walk a little, open, lob somewhere suitable, make a cup of tea and feel smug.